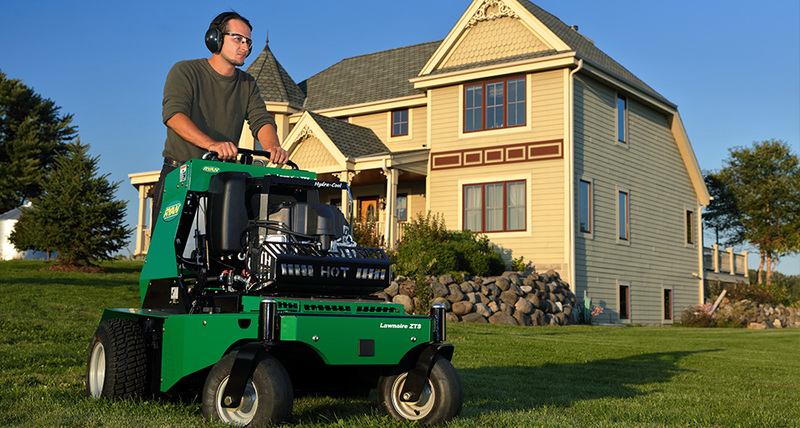 Lawn care is serious business, which requires a brand of turf equipment you can rely on to get the job done. Ryan Equipment has been in the industry for more than 70 years and continues to offer an array of products that make lawn care easier and more efficient for customers. 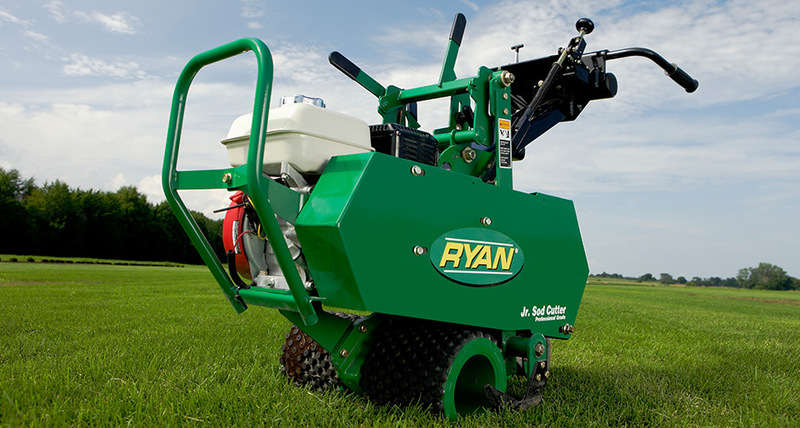 Whether you’re taking care of your own property or doing professional landscaping, Ryan Equipment has a product that’ll fit the bill. Here at Clive Power Equipment, we only carry the very best products for our customers, which is why we carry a ton of Ryan Equipment you’ll love. Stop by our dealership in Clive, IA near Des Moines and Urbandale today! For your convenience, we also have a service department right here at our dealership. Regardless of what your lawn care needs are, you can surely benefit from a walk-behind aerator. Enjoy the highly desirable benefits such as better soil and turf all around. These machines are ergonomically designed and built to last while providing maximum performance for smaller scale aeration projects. 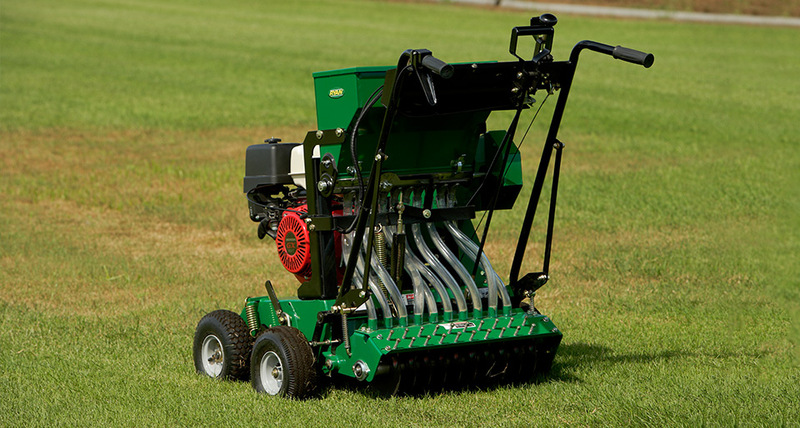 If you’re interested in maximizing the health of your turf by removing the thick thatch buildup preventing air, light, and water from reaching the root zone, you might want to consider a power rake. These tools work to remove that pesky thatch and break up aeration cores to improve the turf condition leaving it greener and healthier. 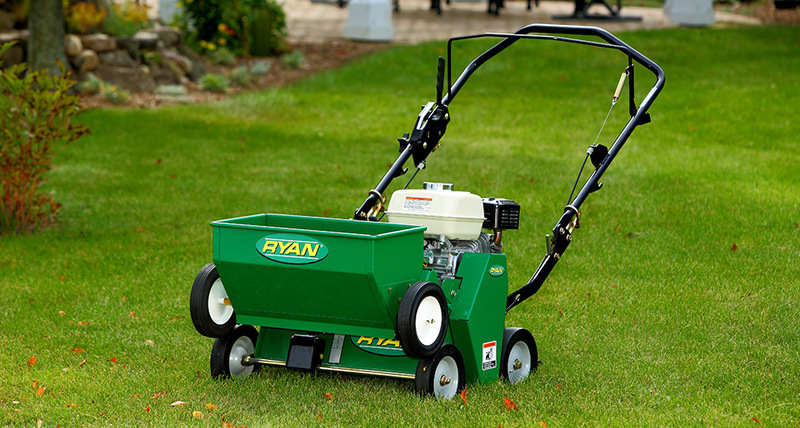 Ryan Equipment carries overseeders so you can maintain the health of your lawn while making it more drought-resistant. You’ll also reduce the amount of water, fertilizer, and pesticides you need to use to maintain a healthy lawn. As an added bonus, you’ll love the fact that overseeding makes it much harder for weeds to grow. Sod cutters are not only user-friendly but extremely useful for cutting sod in a number of areas such as curved landscapes, cutting on a sod farm, sports field, and so on. Your machine is portable, responsive, and adaptable to various soil conditions. 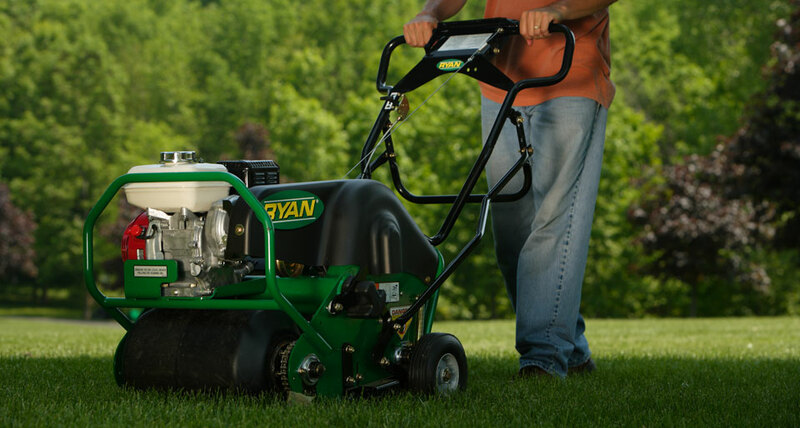 Your turf tasks will seem effortless with a Ryan sod cutter on your side. When you need to easily load up your sod cutter or other equipment, enjoy the simplicity of a Ryan tote trailer. 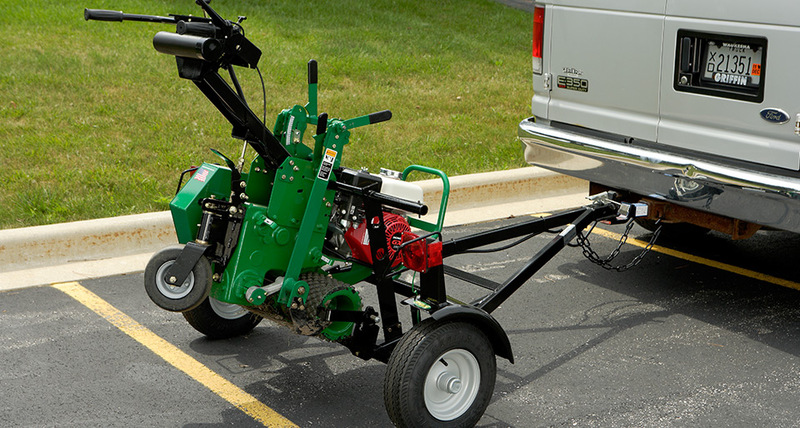 This is perfect for lawn care professionals who need a convenient way to transport Ryan Equipment. The tote trailer all you to get to the job site in no time and it only takes one person to unload and reload the equipment. Let us find you the right equipment for your projects. Please feel free to contact us at (515) 279-2296 or stop in today!